Why MAKES FracTat® Different than Pico lasers? Traditionally, Q-switch, ND:Yag lasers were (and still are!) used at nanosecond speeds to remove tattoo ink by shattering the ink molecules into smaller pieces that the body can absorb and wash away. The laser can go deep into the skin and is very powerful, but the issue is, it fires too slowly allowing too much heat to stay inside the skin. That extra heat causes damage to the skin and results in scarring, making it more difficult for the future treatments for the laser to get through all that scar tissue to find the ink. Then, decades later, Picosecond technology came out. It uses a laser called an Alexandrite, which fires 100 times faster (picoseconds vs nanoseconds) and uses acoustic energy more than heat. This works amazingly, except that when the ink molecules are shattered, they release Carbon Dioxide gas which gets trapped in the surface of the skin (frosting effect), causing scarring and preventing any more laser pulse from reaching the ink. Alexandrite lasers are shallower than other lasers and are also historically temperamental and not always consistent in how they fire. Now comes FracTat’s patented method of laser tattoo removal. It is the first of it’s kind and years ahead of the competition. It can avoid some of the frosting effects by first drilling fractional micro holes vertically into the skin. These holes act as pressure relief ducts for the CO2 gases to escape from, without building up as much pressure at the surface of the skin. The laser pulses which shatter the ink molecules are composed of a deeper, more powerful and dependable laser called an ND:Yag. It has been redesigned to fire in picoseconds and also uses the same acoustic technology. So, essentially Fotona has created a laser for tattoo removal that combines the best of all technologies. This results in fewer treatments and faster healing for clients! 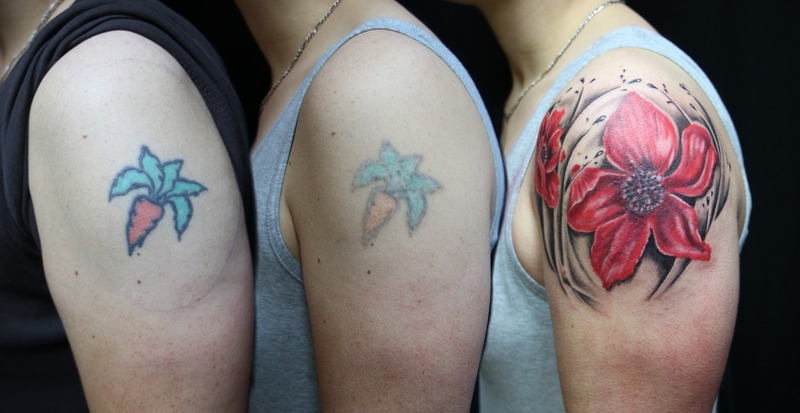 FracTat® is also able to effectively treat ALL colors of a tattoo. The laser is attracted to the colored ink molecules in the skin. When the ink is hit by the laser’s photoacoustic pulse, it shatters, breaking apart into much smaller particles. They are then small enough for the body’s lymphatic system to carry them away. It takes the body approx. 2-4 months to wash away all of the ink broken up by a laser treatment, therefore treatments are performed approx. 10-12 weeks apart. The number of treatments required depends if you are looking to simply fade your tattoo for a cover-up or remove it completely. Fading usually requires only 1-3 treatments. Removal can be anywhere from 4-8 treatments. Professional, newer tattoos will take longer to fade than older, unprofessional tattoos. Also, your age, health and placement on the body of the tattoo affects how fast it will fade. Someone who is healthy and physically fit will see faster results. Also tattoos on the torso and head will see quicker fading than lower arms, hands, lower legs or feet. Does tattoo removal leave a scar? Usually not. In the case of older machines and inexperienced technicians, this is definitely possible. 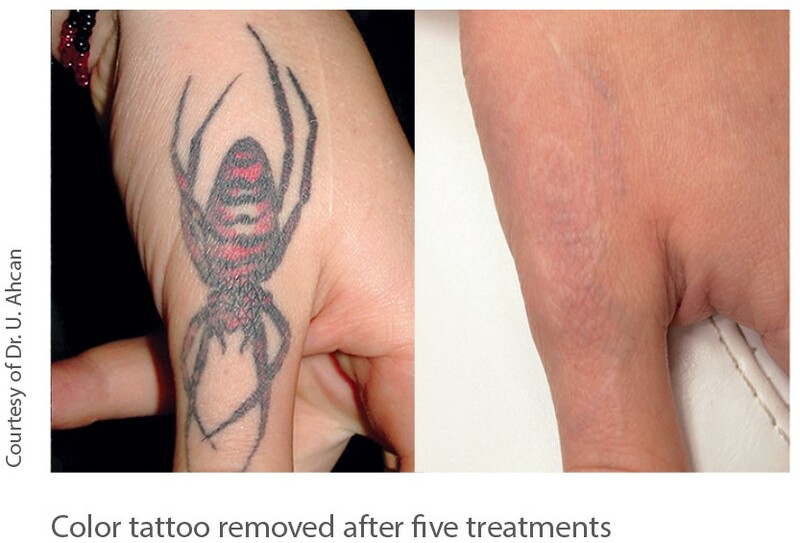 However, Revive has technicians have years of tattoo removal experience and uses top-of-the-line equipment. Our treatments use the least amount of heat possible to get the best results, avoiding blistering or scarring at all costs. In some cases, there is a very faint outline of the tattoo remaining, or there may be a white hue where the tattoo ink used to be. This can be somewhat prevented by using daily sunscreen on the area. Unfortunately, laser tattoo removal can be somewhat painful. However, Revive Laser uses a 20% prescription benzocaine numbing cream, as well as cold air machines to make the treatment as comfortable as possible. Don’t forget Laser Hair Removal BEFORE your new tattoo! Excited about that new sleeve? No one wants hair growing through their tattoo. To avoid constantly having to shave or wax, ask about laser hair removal BEFORE you get your new tattoo. 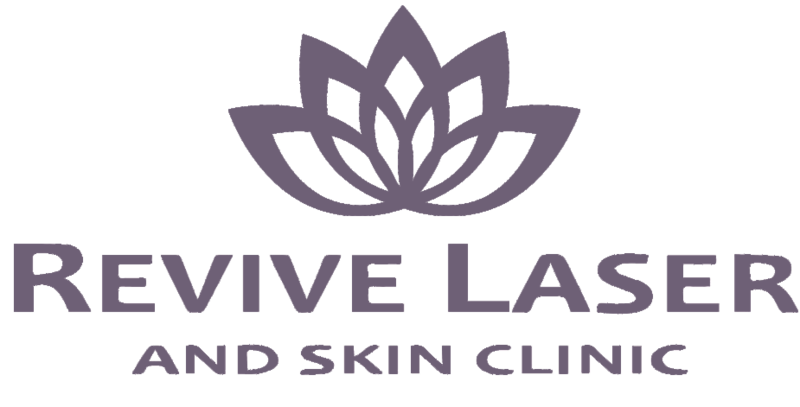 Revive offers extremely comfortable and effective laser hair removal and we also offer FREE test spots so you can try it before you commit. Can I just do one or two treatments before a tattoo cover-up? Absolutely! 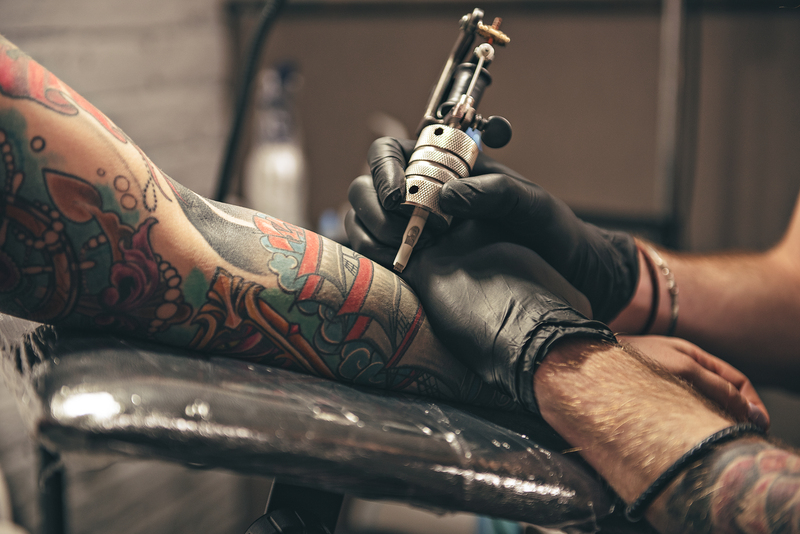 Even one treatment may make the difference in your tattoo artist being able to give you the tattoo you really want, instead of having to make adjustments to incorporate the tattoo you already have. Tattoos are supposed to be permanent, so make sure you get something you love!